Australian made UNISONICS MODEL FXP8D ultrasonic cleaners are designed for Medical, Dental, Laboratory and where all forms of contamination are lightly deposited. Australian made UNISONICS MODEL FXP8M ultrasonic cleaners are designed for Medical, Dental,Laboratory and where all forms of contamination are lightly deposited. Australian made UNISONICS MODEL FXP10M ultrasonic cleaners are designed for Medical, Dental,Laboratory and where all forms of contamination are lightly deposited. Australian made UNISONICS MODEL FXP10MH ultrasonic cleaners are designed for Medical, Dental, Laboratory and where all forms of contamination are lightly deposited. Australian made UNISONICS MODEL FXP12D ultrasonic cleaners are designed for Medical, Dental, Laboratory and where all forms of contamination are lightly deposited. Australian made UNISONICS MODEL FXP12DH ultrasonic cleaners are designed for Medical, Dental, Laboratory and where all forms of contamination are lightly deposited. Australian made UNISONICS MODEL FXP12MH ultrasonic cleaners are designed for Medical, Dental, Laboratory and where all forms of contamination are lightly deposited. Australian made UNISONICS MODEL FXP14D ultrasonic cleaners are designed for Medical, Dental, Laboratory and where all forms of contamination are lightly deposited. Australian made UNISONICS MODEL FXP14DH ultrasonic cleaners are designed for Medical, Dental, Laboratory and where all forms of contamination are lightly deposited. Australian made UNISONICS MODEL FXP14M ultrasonic cleaners are designed for Medical, Dental,Laboratory and where all forms of contamination are lightly deposited. Australian made UNISONICS MODEL FXP16D ultrasonic cleaners are designed for Medical, Dental, Laboratory and where all forms of contamination are lightly deposited. Australian made UNISONICS MODEL FXP16DH ultrasonic cleaners are designed for Medical, Dental,Laboratory and where all forms of contamination are lightly deposited. Australian made UNISONICS MODEL FXP20D ultrasonic cleaners are designed for Medical, Dental,Laboratory and where all forms of contamination are lightly deposited. Australian made UNISONICS MODEL FXP20DH ultrasonic cleaners are designed for Medical, Dental, Laboratory and where all forms of contamination are lightly deposited. 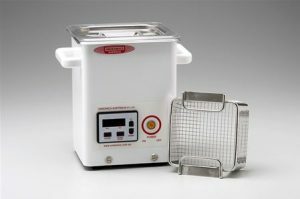 Australian made UNISONICS MODEL FXP40D ultrasonic cleaners are designed for Medical, Dental,Laboratory and where all forms of contamination are lightly deposited. Stainless steel bench top ultrasonic sieve cleaner suitable for cleaning 300mm sieves. All exterior surfaces are stainless steel. 316 marine grade 1.5 Stainless steel tank. contamination and maintain high efficiency levels. Stainless steel internal fitted basket.